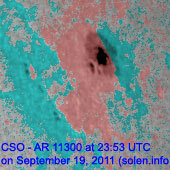 Last major update issued on September 20, 2011 at 03:05 UTC. 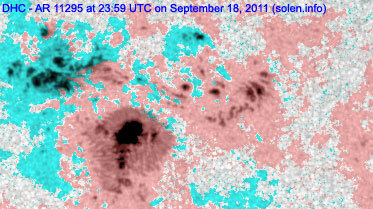 The geomagnetic field was quiet on September 19. 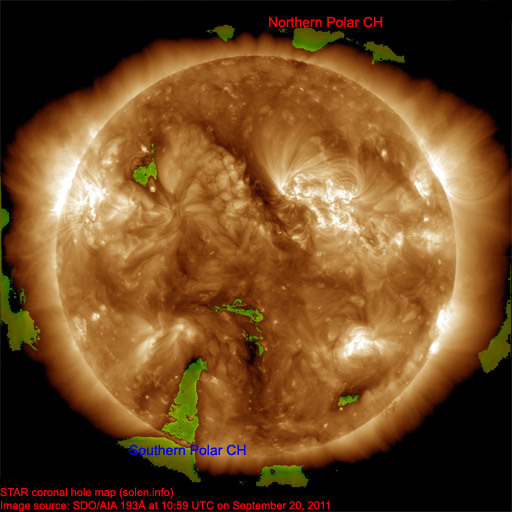 Solar wind speed ranged between 359 and 424 km/s. 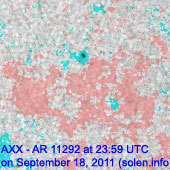 Solar flux measured at 20h UTC on 2.8 GHz was 140.9 (increasing 37.2 over the last solar rotation). The planetary A index was 3 (STAR Ap - based on the mean of three hour interval ap indices: 2.8). 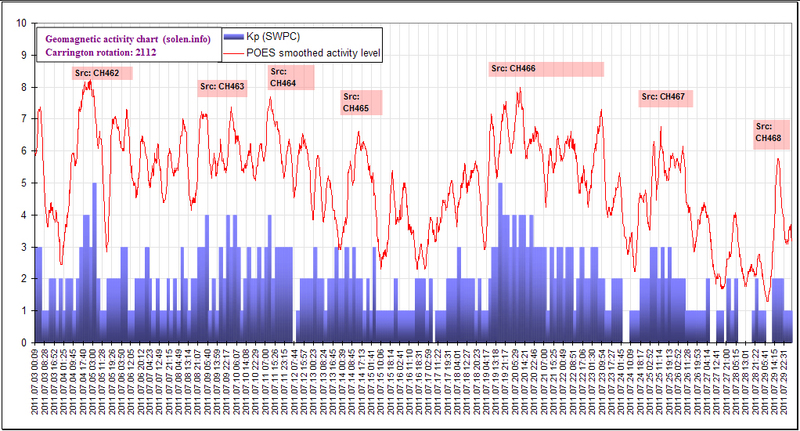 Three hour interval K indices: 10101111 (planetary), 00101211 (Boulder). 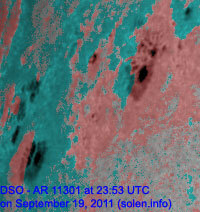 Region 11295 [N22W22] developed in the leading spot section while the trailing spots displayed some decay. Polarities are intermixed. An M class flare is possible. 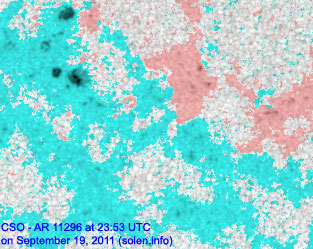 Region 11296 [N26W05] decayed slowly. 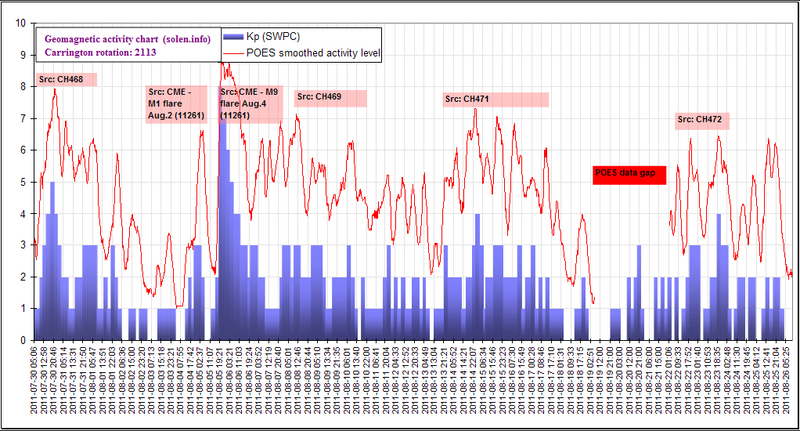 Flares: C2.4 at 04:59, long duration C6.2 peaking at 07:37 (this event was associated with a partial halo CME with most of the ejected material observed off the eastern limbs) UTC. 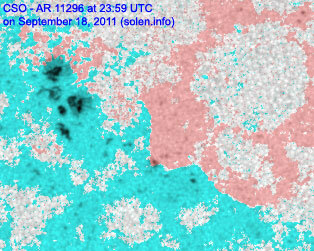 Region 11298 [N14W23] decayed further and was quiet. Region 11299 [S19W27] lost a few spots but gained penumbra on the trailing spots. 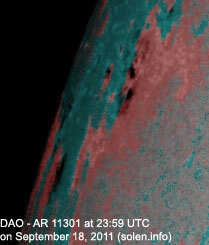 Region 11301 [N20E67] has mixed polarities and could produce a minor M class flare. 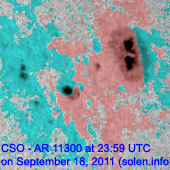 Flares: C6.9 at 15:41, C1.3 at 18:47 UTC. 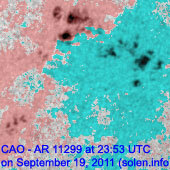 September 17-18: No obviously Earth directed CMEs observed. 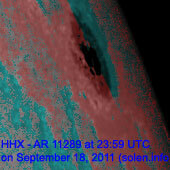 September 19: A partial halo CME was observed following an LDE in region 11296. 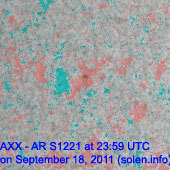 There's a slight chance this CME could reach Earth on September 22. 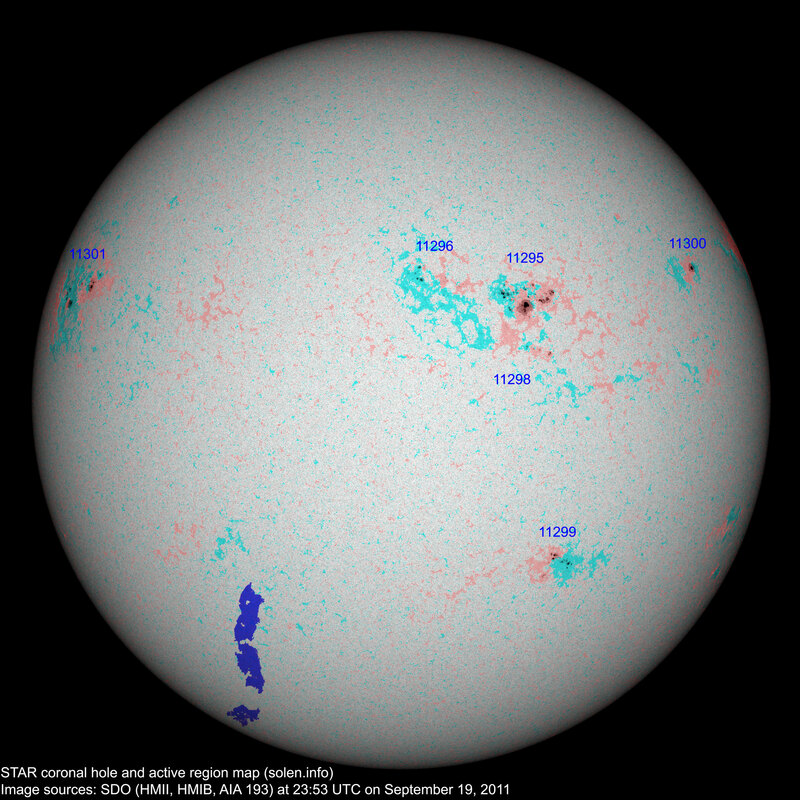 The geomagnetic field is expected to be mostly quiet on September 20-22. 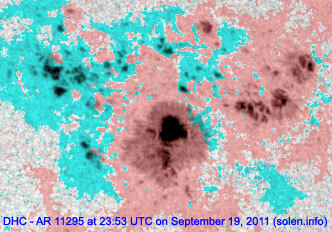 There's a minor chance a weak CME could reach Earth on Sept.22 and cause a few unsettled to active intervals.